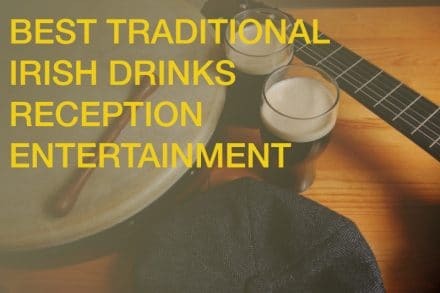 MAMO is undoubtedly one of the ultimate Trad Bands for hire in Ireland and one that will ensure that WOW Factor at your Corporate Event, Birthday Party or even Wedding Celebration. This band consists of an assemble of experienced and celebrated Irish musicians of up to 10 members – ideal for a big celebration to make that grand musical statement and leave your guests in awe, but of course MAMO can also be scaled down to suit your smaller venue and fit perfectly for an intimate Drinks Reception performance. This exciting new Celtic Band features some of Ireland’s finest traditional musicians, which are all highly qualified and have previously performed, recorded and toured with numerous high profile bands nationally as well as internationally. With Traditional Music and Acts receiving well deserved international recognition, the band took it in their stride to specialise in their beloved Irish traditional music and songs, but also like to shake it up a little by performing original material. Denis Carey from Newport,Co Tipperary is a musician,composer and arranger with a diverse musical background. As a pianist he has performed and recorded with many well known artists nationally and internationally. Denis’ most recent solo album of his own compositions “Moving On” features some of Ireland’s leading musicians including Mairtin O’Connor, Ken Rice,Zoe Conway,Denis Allen,Tommy Hayes,Paul Brock and Manus McGuire. Denis is a member of the award winning group BrockMcGuire Band since the year 2000. The band’s latest album ‘Green Grass,Blue Grass’ features fourteen time Grammy Award winner Ricky Skaggs along with various other Nashville musicians . His compositions have been scored for TV and Film. His works have also been performed and recorded by many artists and orchestras including Symphony Nova Scotia,Scottish National Orchestra and the Mississippi Symphony Orchestra in Jackson,MI. Garry O’Meara from Dublin is one of Ireland’s leading banjo/mandolin players. Over the past number of years he has toured extensively and recorded with many well known bands including the Fureys,Stocktons Wing,Monty,We Banjo 3,Gerry O’Connor,Ragus and BrockMcGuire band. In 2013 Garry released his first solo album Pickin’Time which has received critical acclaim in Ireland and overseas. Garry regularly performs at the various major Irish festivals in the USA and throughout Europe. He has recently featured on recordings with high profile artists such as Tommy Fleming and Nathan Carter as well as many TV appearances. Fiddle player Cathal Clohessy from Fedamore,Co Limerick has toured with various groups and performed at many Irish and international festivals. His style of playing is influenced by the music of east Limerick along with music from Clare and North Connacht . Cathal has numerous accolades at all Ireland level. Eamonn Costello comes from Carraroe in the Connamara Gaeltacht and is a well known accordion player and piper. As well as playing with various groups he has collaborated with a number of musicians including Mactira,Frozen Fish and Wimagan Wewo. 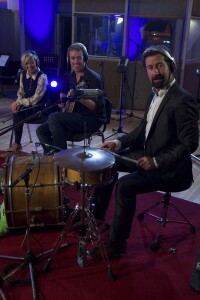 In 2010 Eamonn recorded a critically acclaimed album titled “Bosca Ceoil and Fiddle” with Cathal Clohessy. Quote (Irish Times) “It’s not every day a debut cuts through the ether with such razor sharp precision……pin-prick precision crossed with musical curiosity.” Siobhan Long. To hire and for more information on MAMO please do feel free to call us on +353-1-201-3660. Faye and Suzy will happily advice you on everything you need to know in regards to booking the band.